Unfortunately, with the recent announcement about increased taxi surcharges, I'm not sure how relevant my quote is anymore. ... I know the difference between la, lor, leh... and the difference between ACS and Raffles. ... I know that 'steady pom pee pee' has nothing to do with how well you aim at the urinal. but doesn't mean I like it. ... I know my local celebrities. And I know how to pronounce the names of Singapore's politicians correctly (it's Nah-than, not Nay-than!). ... I get (and love) the jokes on The Noose. ... I can order teh, teh bing, teh c or teh o without batting an eyelash. Whether or not the stall auntie understands my bad accent is another matter. ... I know the phrase 'yum seng' will probably leave me voiceless the next day. ... I would feel weird calling a taxi driver anything other than 'uncle'. ... I'm a Velvet/Zouk member. I know what it means when folks talk about the revered 'Doctor' from the prime Mambo Jambo days. So how's that for you? Or still cannot make it? 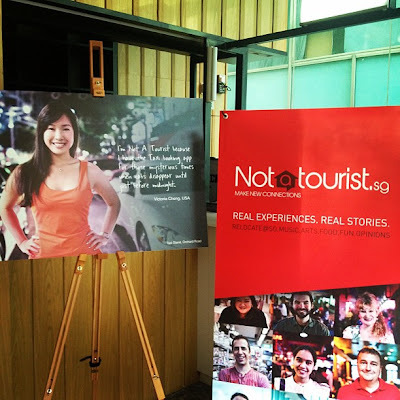 See original post here at my notatourist.sg profile. how did you become a zouk member? what are the requirements? J'ai un paquet... from Feiyue!